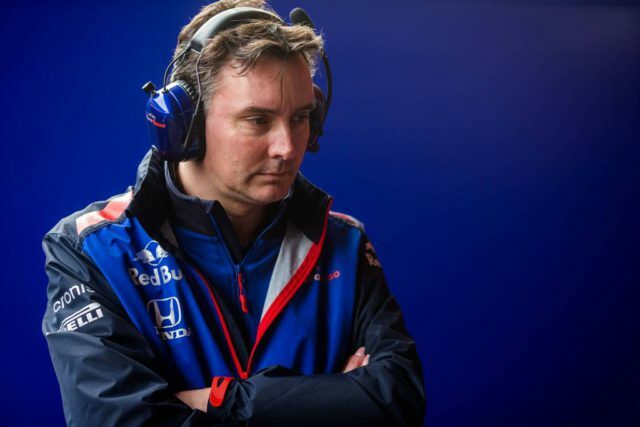 McLaren Racing and Scuderia Toro Rosso confirmed they have reached an agreement to settle the position of James Key. The British engineer will leave the Faenza team to the end of his existing contract arrangement. This will happen on 23 March 2019. Key will begin his role as Technical Director, McLaren F1, on 25 March 2019. Meanwhile, Jody Egginton will begin his new role as Scuderia Toro Rosso Technical Director. He had joined in September 2012 and gained a reputation with some really clever designs for the small Faenza team. Last July though McLaren announced they had recruited Key. There was quite a negative reaction from the Red Bull camp. Red Bull’s advisor Helmut Marko said that Key had a long-term contract with Toro Rosso. He was also unhappy that after their discussions Zak Brown had decided to announce Key without the agreement of the other side in the talks. James Key works in Formula One since the late 90s of the 20th century. In 1998 he became race engineer for Takuma Sato in Jordan. After that, he changed different departments until becoming head of Vehicle Dynamics. In 2005 Key became technical director in the team, which Midland had already bought. In 2010 the British engineer went to Sauber as technical director. He left in 2012 and in September became technical director at Toro Rosso.